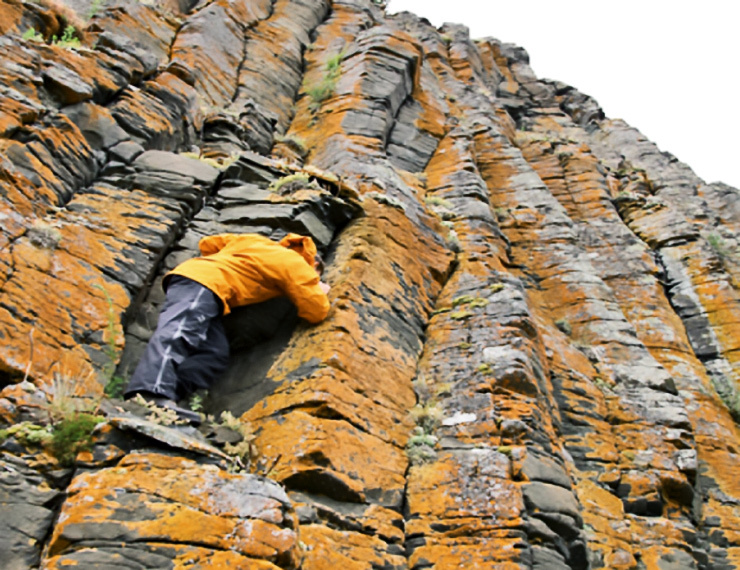 Massive volcanic eruptions and resulting environmental changes caused the Great Permian Extinction approximately 250 million years ago, research suggests. The study reports a global spike in the chemical element nickel at the time of extinction. The anomalous nickel most likely came from emanations related to the concurrent huge volcanic eruptions in what is now Siberia. These eruptions, the researchers say, are associated with nickel-rich magmatic intrusions—rocks formed from the cooling of magma—that contain some of the greatest deposits of nickel ore on the planet. Using an Inductively Coupled Plasma Mass Spectrometer, which measures the abundance of rare elements at their atomic level, the scientists documented anomalous peaks of nickel in regions ranging from the Arctic to India at the time of the Great Permian Extinction—distributions that suggest these nickel anomalies were a worldwide phenomenon. “The Siberian volcanic eruptions and related massive intrusions of nickel-rich magmas into the Earth’s crust apparently emitted nickel-rich volatiles into the atmosphere, where they were distributed globally,” explains Michael Rampino, a geologist at New York University and the paper’s senior author. “At the same time, explosive interactions of the magma with older coal deposits could have released large amounts of carbon dioxide and methane, two greenhouse gases, which would explain the intense global warming recorded in the oceans and on land at the time of the mass extinctions. The warm oceans also became sluggish and depleted in dissolved oxygen, contributing to the extinction of many forms of life in the sea,” Rampino says. “This new finding, which contributes further evidence that the Siberian Trap eruptions were the catalyst for the most extensive extinction event Earth has ever endured, has exciting implications,” says Sedelia Rodriguez, a coauthor of the paper and lecturer in the department of environmental science at Barnard College. The researchers report their work in the journal Scientific Reports. Additional coauthors of the paper are from Barnard College and Columbia University.